We have several sizes of cases in stock. Listed here are our larger sizes with a length of 18.0 – 19.0 in outside dimensions. 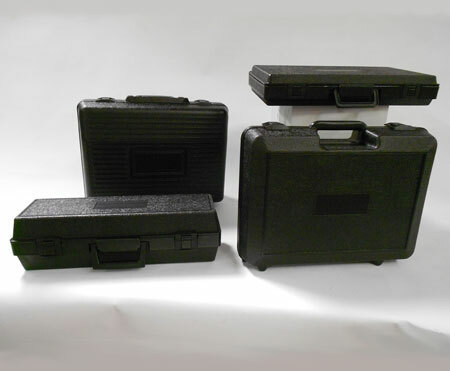 Our plastic carrying cases include a variety of standard case sizes that are in stock, ready to ship. We also offer custom and semi-custom case design. Our plastic cases are produced through extrusion blow molding using our machines in-house. We can manufacture products that weigh as little as 0.5 pounds to over 20 pounds. To find out more information and receive a quote for our in-stock plastic cases, contact us at 1-877-593-2182.